For ninety-nine years (1855–1954) Chudleigh published its own newspaper. Originally named the Weekly Express its title was extended to South Devon Weekly Express in 1907. The newspaper was established by Robert Crook who had come to Chudleigh in 1839 from Newton Abbot. At that place he had been a printer and stationer and he continued that line of work here from his premises at 68 Fore Street (the Mei-Wah Chinese Take Away today). Born at Newton Abbot on 25 November 1809 he was the son of Robert Crook, who had been Pastor of the Salem Chapel in Wolborough, Newton Abbot for 13 years. 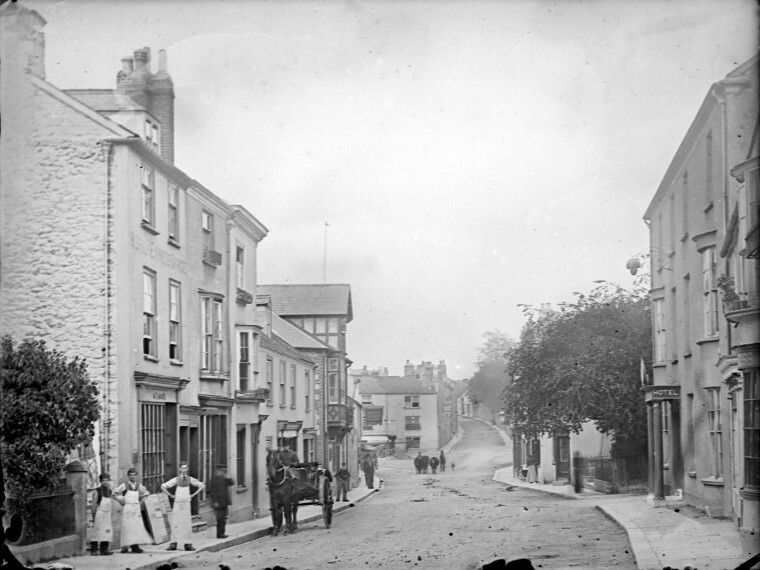 Robert came to Chudleigh with his wife Eliza and their infant son Henry Arthur Crook. It was on Wednesday 11 July 1855 that he produced the first edition of his Weekly Express newspaper. 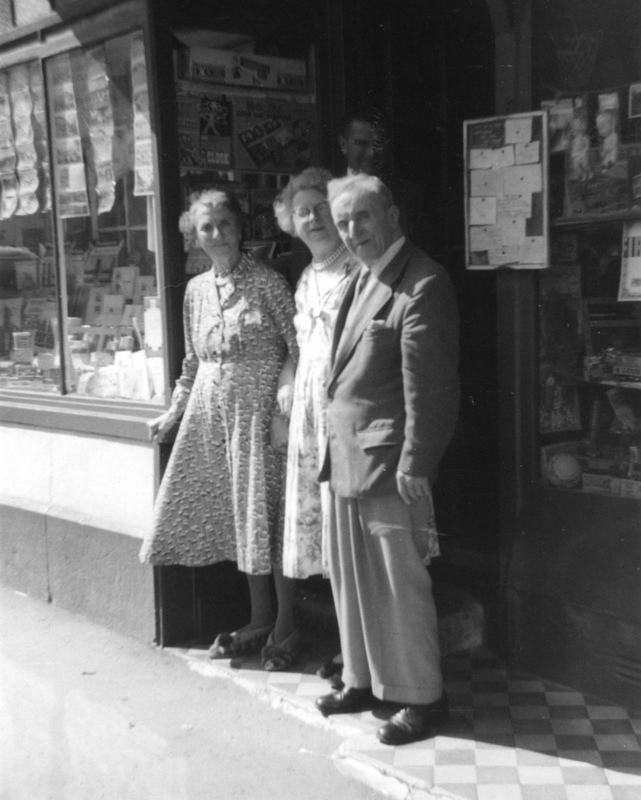 Under three subsequent proprietors, his son, grandson and a former apprentice the newspaper was successfully produced through the two world wars and ended on the death of proprietor Mr Albert Holcombe in October 1954. The paper, also described on its title page as an 'Advertising Medium' covered Newton, Teignmouth, Dawlish, Shaldon, Torquay, St Marychurch, Ashburton, Totnes, Bovey Tracey, Moretonhampstead and Christow 'and adjacent places'. The price was 2d or 2s per quarter or by post, 3d or 3s per quarter. From the outset there was a specific Chudleigh section which has proved to be a gold mine as far as our history group is concerned. 'R. Crook begs to return thanks to the Gentry and Public generally for the liberal support he has received during a period of 16 Years, and hopes by prompt attention to business, to merit a continuance of the same'. The newspaper was a success and continued with the assistance of his two sons, the younger of them Henry Arthur Crook taking over the business on the death of his father in March 1886. Henry Crook continued the business for the next twenty years assisted by his son (Robert Henry John Crook) until his death in 1906. Robert Crook jnr then took over but for barely twelve months. In 1883 a twelve year old boy by the name of Albert Holcombe had been taken on as an apprentice who, after serving his seven year term left Chudleigh for London where he obtained the job of compositor and linotype operator on the Morning Standard. In 1907 on hearing that the Chudleigh newspaper business was up for sale he returned to his birthplace and acquired the business. Albert Holcombe was responsible for the name change and a revised appearance of the newspaper. In its early form it comprised eight average sized pages that reduced to four pages during the Second World War years. The price of 1d later reduced to a halfpenny when the paper reduced to a single sheet double-sided version in its latter years. 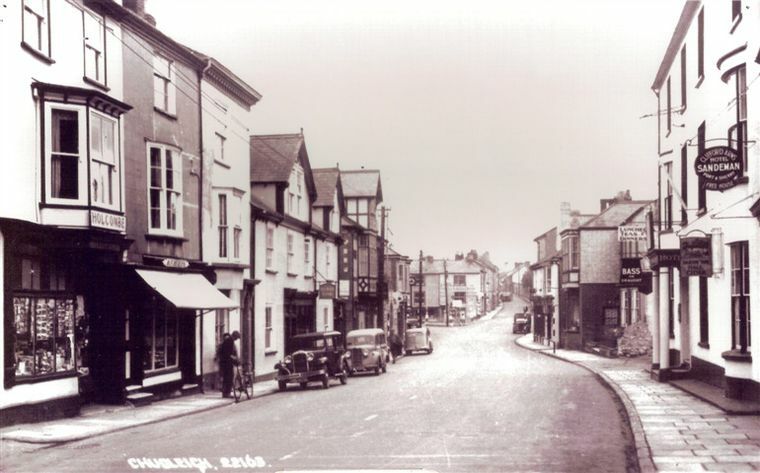 Fore Street in 1949, Albert Holcombe's shop premises can be seen on the left side. Not much has changed from 1891 apart from the transport! Poor health troubled Albert Holcombe in his later years although his paper continued to be produced right up until his death in October 1954. He had hoped to see the centenary of the newspaper but it was not to be, his death had occurred just nine months prior. For those interested in the local history of the town the newspaper is an invaluable research source. The complete run 1855–1954 (excepting the years 1896, 1897 and 1898) is available on microfilm at the West Country Studies Library in Exeter.